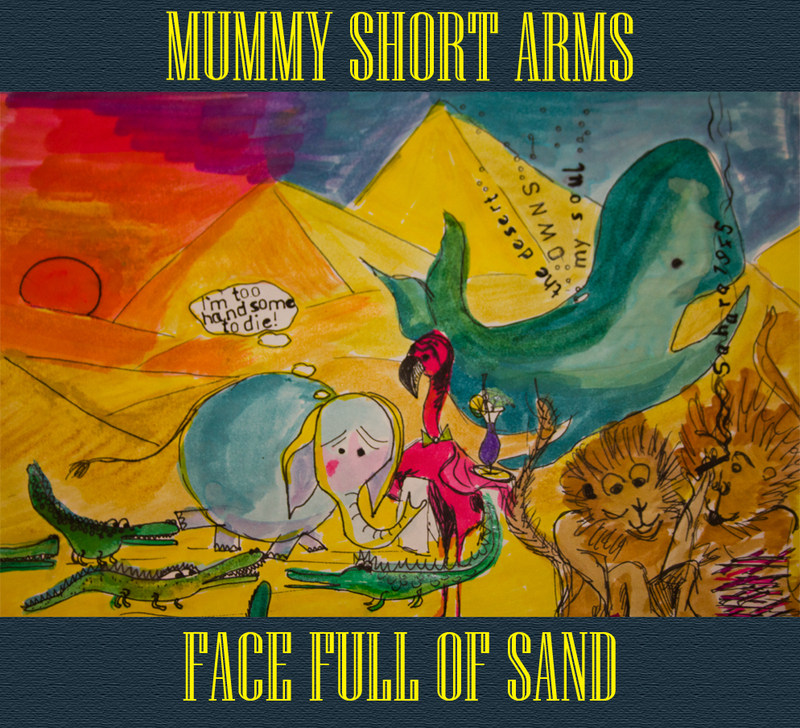 Glasgow band Mummy Short Arms’ first singles, ‘Cigarette Smuggling’ and ‘Change’, gathered euphoric reviews, using words like “genius” and “pure alternative perfection” and a SINGLE OF THE MONTH in THE LIST. Artrocker / Loud Horizon scribe Colin Jackson wrote, “I think I could confidently predict that Glasgow’s MUMMY SHORT ARMS are probably the best band you haven’t yet heard.” With debut album ‘Old Jack’s Windowless Playhouse’ released in 2012, tour and festival dates in Edinburgh, London and Yorkshire, the band continued to build their reputation. 2014 sees their first new material, beginning with the single, Face Full of Sand in April. Radio play includes STEVE LAMACQ & TOM ROBINSON (6music), Selector @ NME RADIO, VIC GALLOWAY, ALLY McCRAE, JIM GELLATLY and GILL MILLS @ Amazing Radio. Live the band are blessed with a unique sound and a frontman in James Allan who has attracted comparisons to Tom Waits, Frank Black and “a young Mick Jagger”.